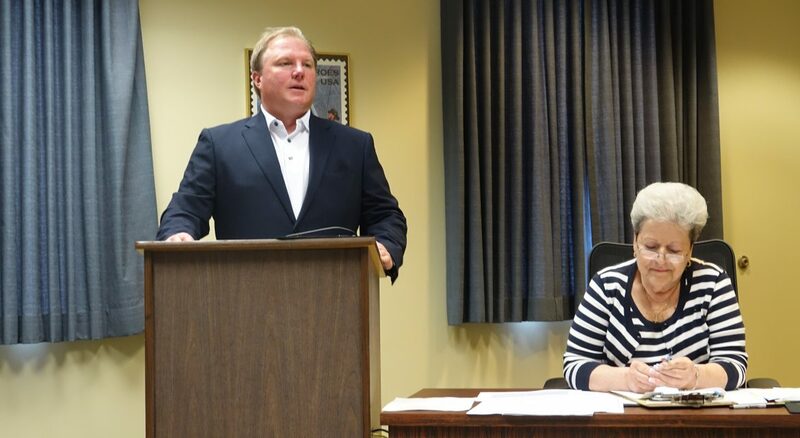 BATAVIA, Ohio (May 25, 2018) – Commissioners on May 23 approved a $5 increase to the annual motor vehicle registration fee for Clermont County residents. It will go into effect on Jan. 1, 2019, and will fund the county’s Road Improvement Program. County Engineer Patrick Manger initially requested the increase when he came before Commissioners on March 12. At that time, he presented information about the need for the additional revenue – approximately $1 million – the fee would raise in the county. In Ohio, county engineers’ offices are funded through the Ohio gas tax (28 cents per gallon distributed equally among 88 counties), and vehicle registration fees. In 2017, the Clermont office received $7.2 million in registration fees and $2.3 million in gas tax revenues. That revenue funds the repairing and repaving of county-maintained roads. Manger noted that revenue from those two sources has remained essentially flat since 2007. Yet the cost of asphalt has doubled in that time, Manger said, from $57.75 per cubic yard to $132 per cubic yard. 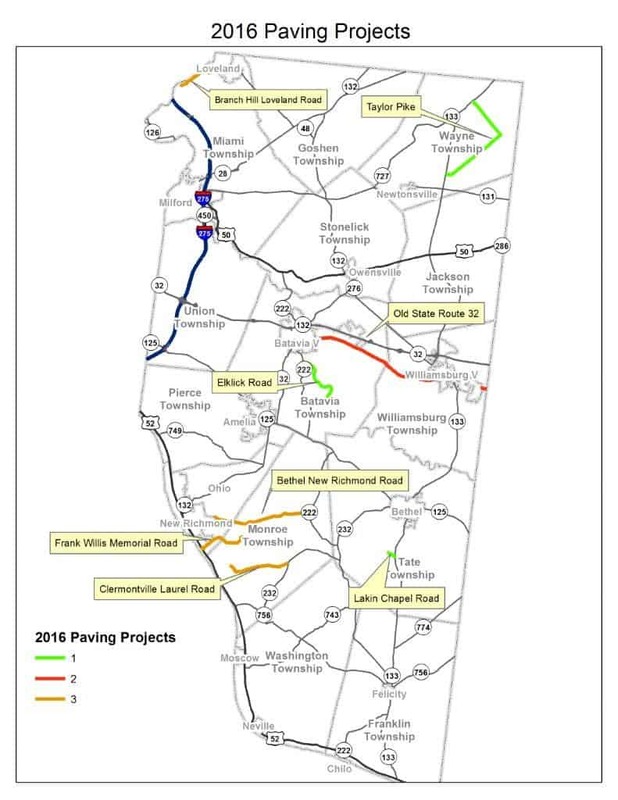 He also noted that at current revenue levels, the average paving cycle for each county road is 38 years, while the industry standard is 10-12 years. The additional revenue would help close the gap, he said. 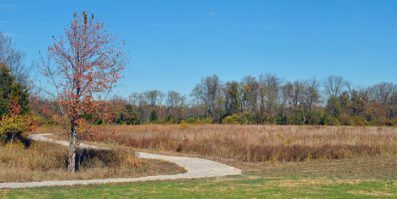 Three public meetings were held in May – in Miami Township, the Village of Batavia, and the Village of New Richmond — to share information on the proposed increase, and to hear from residents both in favor and against it. 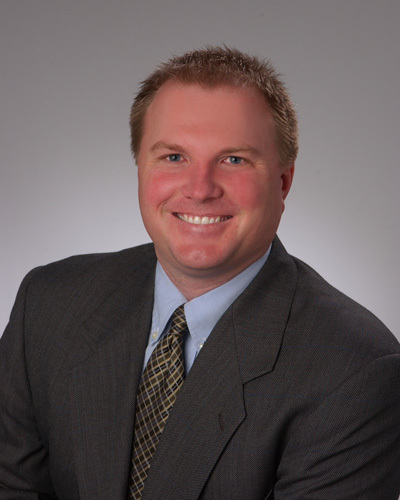 Under the resolution approved on Wednesday at Session, revenue from the $5 increase will be tracked separately from other revenue sources in the Engineer’s Office, and all of it will go into the county’s Road Improvement Program for road resurfacing. Manger said at Session that over the last five years, the county has averaged $1 million to $1.2 million in revenue for resurfacing. The additional revenue of $1 million will essentially double that. 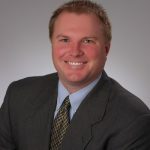 Commissioner David Uible said that a longer-term fix to road issues rested with the State Legislature, and that with more hybrid and electric vehicles on the road, another revenue source besides the gasoline tax and vehicle registration fees should be found. Commissioner David Painter said that in his travels around the county the first, second and third priorities he hears from concerned residents are “fix the roads, fix the roads, fix the roads. The additional $5 will be used to address this concern,” he said. Under the State Transportation Bill (House Bill 26), which took effect on June 30, 2017, counties are permitted to place an additional $5 license fee on vehicle registration fees. Commissioners must authorize the additional fee. Hamilton County has also approved such an increase. Warren County is holding public hearings in June on a proposed $5 increase to its motor vehicle registration fee. The last license plate tax increase prior to this one was in 2005 to repair and refurbish bridges in Clermont County. BATAVIA, Ohio (April 16, 2018) — Public hearings will be held May 9 and May 15 to gather public opinion about a proposed $5 local motor vehicle license tax that would be added to the annual vehicle registration fee in Clermont County. 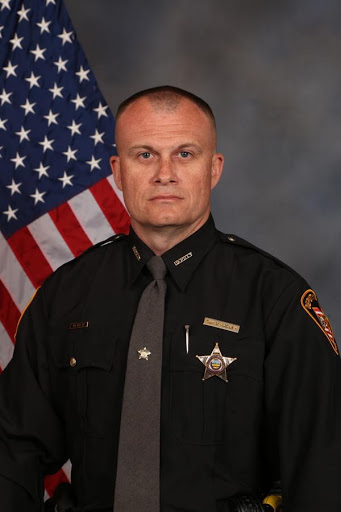 The May 9 hearing will be held at 7 p.m. at Miami Township Civic Center, and the May 15 hearing will be held at 7 p.m. at the Village of Batavia’s new village hall, the Armory building. BATAVIA, Ohio (Nov. 8, 2017) – County Commissioners approved today (Nov. 8) the renaming of several stretches of Aicholtz Road in Union Township. 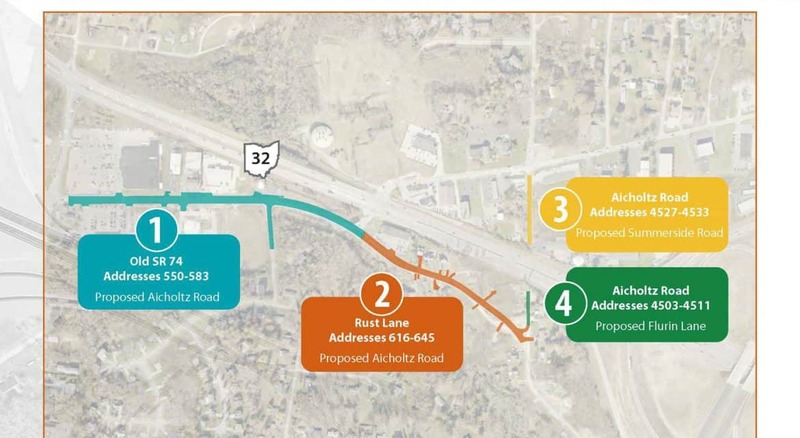 The Commissioners accepted the recommendation of County Engineer Pat Manger, who proposed the renaming following the completion of the Aicholtz Road Connector earlier this fall. Current addresses 550-583 on Old State Route 74 becomes Aicholtz Road, affecting 10 properties. Current addresses 616-645 on Rust Lane becomes Aicholtz Road, affecting 11 properties. Current addresses 4527-4533 on Aicholtz Road becomes Summerside Road, affecting five properties. Current addresses 4503-4511 on Aicholtz Road becomes Flurin Lane, affecting four properties. The changes go into effect immediately. The Engineer’s Office will install new street signs as early as next week. The Aicholtz Road Connector, which took two years to complete and cost $6.25 million, reopened a portion of Aicholtz Road that was severed when Interstate 275 was originally built. 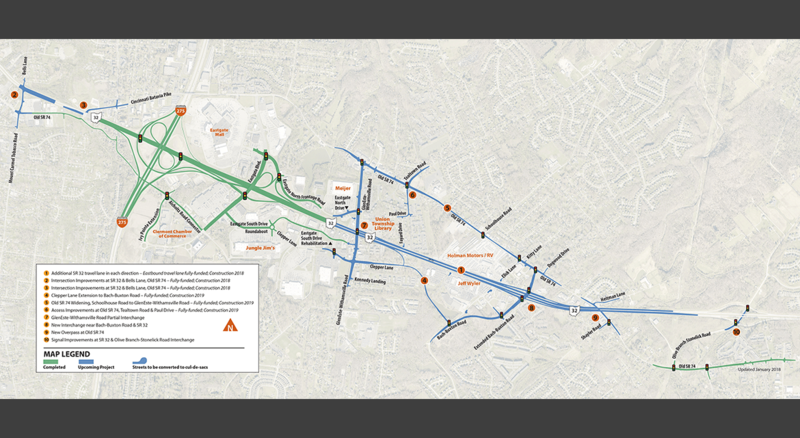 The project now allows for direct access to Eastgate. The name changes made sense given the reconfiguring of the roads, Manger told Commissioners at a public hearing on Oct. 25. Union Township trustees voted to support the proposed changes on Sept. 14. Bauer Road between Elmwood Road and Clermont Center Drive closed July 28, 2016, due to pavement collapse. 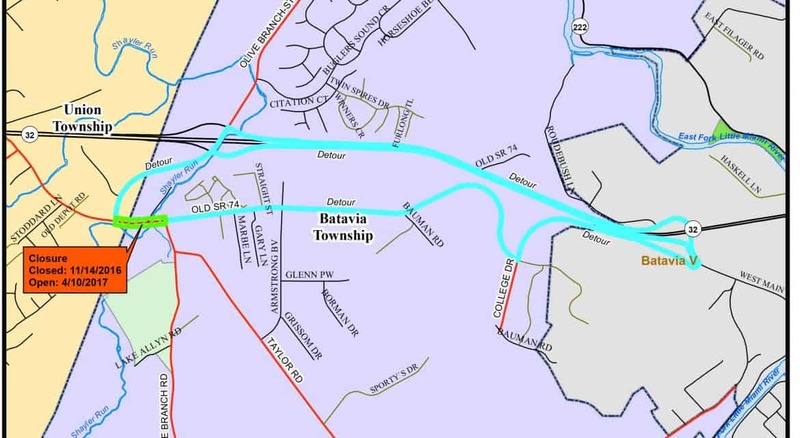 BATAVIA, Ohio (July 28, 2016) – The Clermont County Engineer’s Office has closed a portion of Bauer Road just pass Elmwood Road to Clermont Center Drive in Batavia. 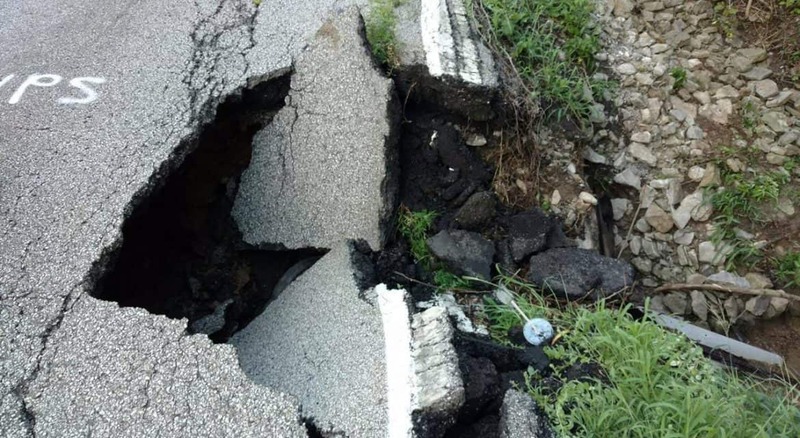 Approximately 3-4 feet of the road has collapsed, said Woody Woodmansee, Highway Superintendent at the County Engineer Office. Woodmansee said a pipe that ran under and supported the road lost backfill due to the morning’s heavy rain. The road is closed until further notice, Woodmansee said, adding that the Engineer’s Office would meet Friday morning to address the issue quickly. Many Clermont County offices are located on Clermont Center Drive, including Job and Family Services, Probate and Juvenile Court, Domestic Relations Court, and the Engineer’s Office. Staff and the public can access Clermont Center Drive by taking SR 32 to Herold Road; a left on SR 276; and left on Bauer Road. Additional information: Woody Woodmansee, 513-479-9065. BATAVIA, Ohio (Feb. 26, 2016) – The Clermont County Engineer’s Office will resurface approximately 30 miles of road in 2016. The first project will start in early summer and the next two projects will start in the fall. All are expected to be completed this year, said Deputy Engineer Doug Royer. 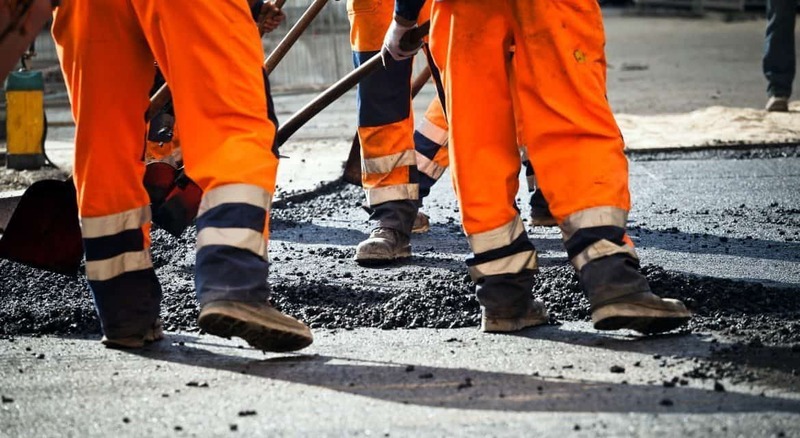 Each road is looked at individually and repairs may include multiple steps such as reconstruction of areas that have failed over the years, sealing major cracks, milling the top layer of asphalt, sealing the entire road width to stop future cracking and other repair methods. These repairs are done prior to placing the final surface of asphalt. The Engineer’s Office maintains approximately 400 miles of road in Clermont County. The Engineer’s staff inspect all roads during the year, and determine paving priorities based on volume of traffic, age and condition of the asphalt and future improvements on the road that may damage a new asphalt surface such as waterline replacements or developments, Royer said. Funds for repaving come from gas taxes, driver license fees, and grants.